What happens now that human population has outpaced biological natural selection? Two leading scientists reveal how we became who we are—and what we might become. When you think of evolution, the picture that most likely comes to mind is a straight-forward progression, the iconic illustration of a primate morphing into a proud, upright human being. But in reality, random events have played huge roles in determining the evolutionary histories of everything from lions to lobsters to humans. However, random genetic novelties are most likely to become fixed in small populations. It is mathematically unlikely that this will happen in large ones. With our enormous, close-packed, and seemingly inexorably expanding population, humanity has fallen under the influence of the famous (or infamous) “bell curve.” Ian Tattersall and Rob DeSalle’s revelatory new book explores what the future of our species could hold, while simultaneously revealing what we didn’t become—and what we won’t become. A cognitively unique species, and our actions fall on a bell curve as well. Individual people may be saintly or evil; generous or grasping; narrow-minded or visionary. But any attempt to characterize our species must embrace all of its members and so all of these antitheses. It is possible not just for the species, but for a single individual to be all of these things—even in the same day. We all fall somewhere within the giant hyperspace of the human condition that these curves describe. The Accidental Homo Sapiens shows readers that though humanity now exists on this bell curve, we are far from a stagnant species. 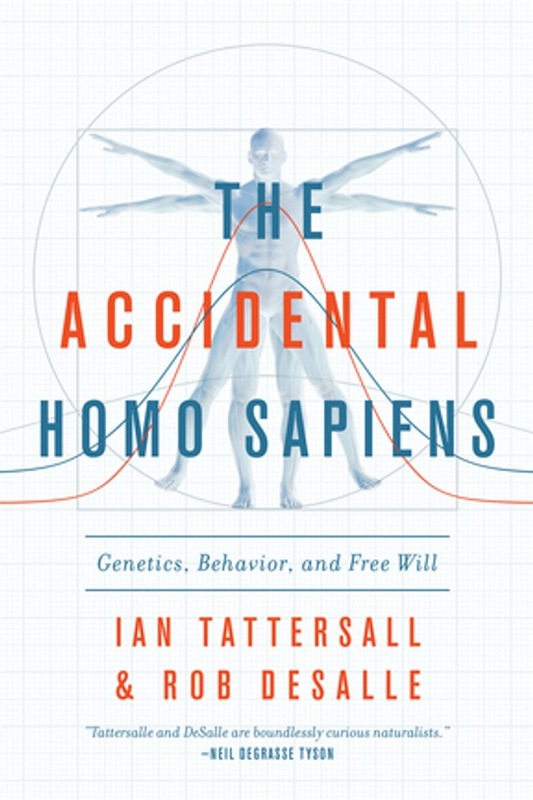 Tattersall and DeSalle reveal how biological evolution in modern humans has given way to a cultural dynamic that is unlike anything else the Earth has ever witnessed, and that will keep life interesting—perhaps sometimes too interesting—for as long as we exist on this planet. 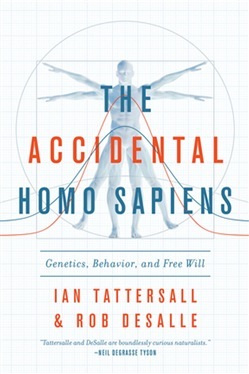 Acquista The Accidental Homo Sapiens: Genetics, Behavior, and Free Will in Epub: dopo aver letto l’ebook The Accidental Homo Sapiens: Genetics, Behavior, and Free Will di Ian Tattersall, Robert DeSalle ti invitiamo a lasciarci una Recensione qui sotto: sarà utile agli utenti che non abbiano ancora letto questo libro e che vogliano avere delle opinioni altrui. L’opinione su di un libro è molto soggettiva e per questo leggere eventuali recensioni negative non ci dovrà frenare dall’acquisto, anzi dovrà spingerci ad acquistare il libro in fretta per poter dire la nostra ed eventualmente smentire quanto commentato da altri, contribuendo ad arricchire più possibile i commenti e dare sempre più spunti di confronto al pubblico online.